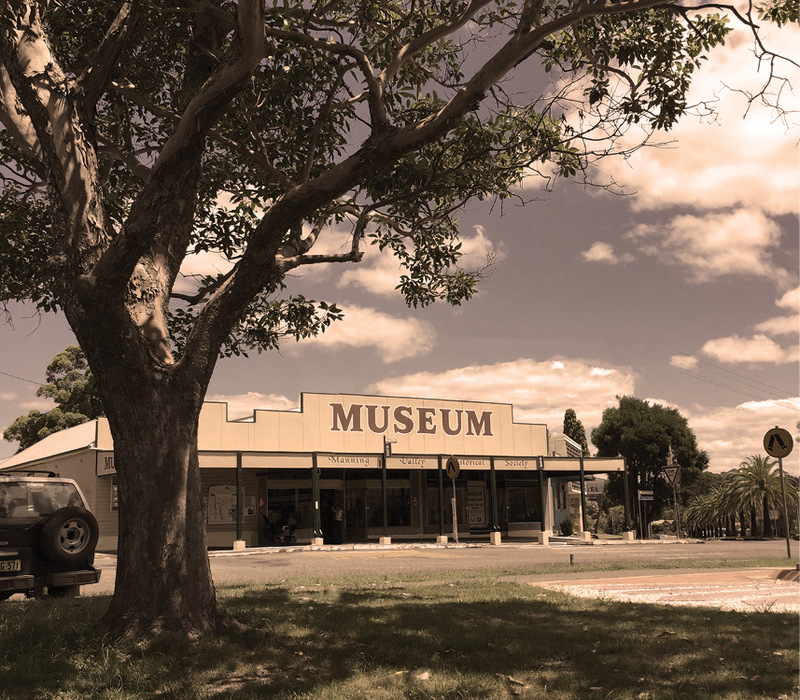 The museum was famously opened in 1968 by Australia’s great aviatrix Nancy Bird Walton, and is housed in one of Wingham’s most historically significant buildings – its first general store. 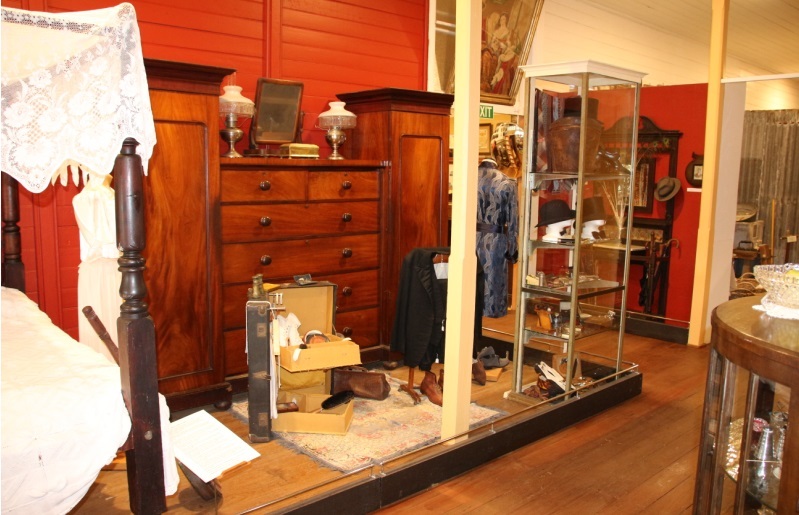 The collection is lovingly curated by a team of dedicated volunteers, and includes the original lock-up that held famed bushranger Jimmy Governor among its many relics. Wander our two large rooms of themed displays that house antiques ranging from Gaelic bibles bought out by original Scottish settlers to rare local aboriginal artefacts and hand- carved furniture. Each display is supported by the Manning Valley Historical Society’s nationally significant photographic collection, which provides a fascinating insight into what life was really like for the pioneering men and women who chose to settle in rural towns. Take a little piece of history home with you by visiting our store, which offers a selection of historical books and handcrafts created by local artisans. Wingham Museum is a not-for-profit charity staffed by a team of up to 30 local volunteers who are passionate about preserving the treasures entrusted to them by the generous Manning Valley community. Visitors are greeted by our friendly volunteers whose ages range from 23 to 93! We regularly host schools and bus tour groups who enjoy wandering around the displays and listening to the stories told by staff, many who were born and raised in Wingham. An integral part of the community since it opened in 1968, Wingham Museum is open seven days a week. In recent years, volunteers have taken on the daunting task of organising the huge amounts of donated material into themed displays, which are backed by stunning murals created by local school children. Wingham Museum is a labour of love for volunteers, who also assist family history inquiries and publish news and research in a bi-annual journal. We regularly add our knowledge and assistance to local festivals and consult on community projects – including a recently installed permanent photography display in the Wingham Town Hall. Serving in war and the war at home. In other words – it’s big! Come in and see our for yourself. Wander across the floorboards of our National Trust building and learn about our pioneering past. Walk through the jail cell that held infamous bushranger, Jimmy Governor or read about the trials of Isabella Mary Kelly – the inspiration for Di Morrissey’s book “the Valley”. Our friendly and knowledgeable volunteers are available to assist with your enquiries. Wingham Museum is open daily from 10amm to 4pm all year round except for Good Friday, Christmas Day, Boxing Day and New Years Day. Please note however – we are a volunteer organization and cannot always guarantee our doors will be open. To avoid disappointment, we suggest you call ahead of your visit. Our Archives and Research Center is open on Tuesdays with research and collections volunteers available for your enquiries.